Facebook on Tuesday unveiled the Journalism Project, which is designed to establish stronger ties with the journalism industry. Through the project, Facebook aims to bolster the quality of journalism on the network. Among other things, the project aims to tackle the fake news issue that flared during the U.S. presidential election and its aftermath. Continuing efforts to curb fake news. The road map "is not directly related to fake news but is part of our ongoing efforts to work more collaboratively with our media partners," Facebook said in a statement provided to TechNewsWorld by company representative Liz Allbright. "In the end we hope all of these efforts, together, will enable our community to have meaningful conversations, to be informed and to be connected to each other," the company added. Facebook's plans could benefit mainstream media, which struggled to provide election coverage amid accusations of bias and competition from fake news reports. "Approval of the mainstream media is around 6 percent -- lower than that of Congress," said Michael Jude, a program manager at Stratecast/Frost & Sullivan. "Journalism's scrambling to find relevancy and legitimacy in this new online world," he told TechNewsWorld. Fifty-eight percent of participants in a recent online survey said they trusted the websites they used to inform themselves. Thirty-two percent said Facebook was their main source of news. "Journalism as a craft has been significantly devalued by the last election, where major news sources dropped all pretense of objectivity in an effort to influence the election," Jude maintained. "Rehabilitation depends on getting involved in efforts to provide objective news feeds that people can trust. 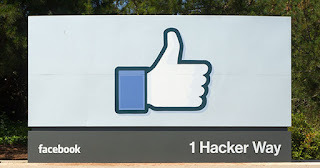 In this sense, the Facebook efforts will help," he added. Facebook's efforts will "provide access to eyeballs" for its media partners, Jude said, which could lead to more effective monetization of their content and greater revenue. Fake news can be leveraged as disinformation or propaganda, as well as to carry malware, said James Scott, senior fellow at the Institute for Critical Infrastructure Technology. While the Journalism Project may deter some fake news in the short term, "persistent adversaries will either develop more convincing fake news articles to propagate, or will develop methods to circumvent [the project's] controls," he told TechNewsWorld. Adversaries "can easily define the parameters the project uses to categorize fake news and develop lures within those parameters," Scott explained. Further, the project "doesn't stop malvertising on legitimate sites linked to Facebook." 0 Response to "New Facebook Project Aims to Strengthen Journalism"